With holiday seasons in the air, everyone is shopping for that special gifts for their friends, kids, grandparents and partners. 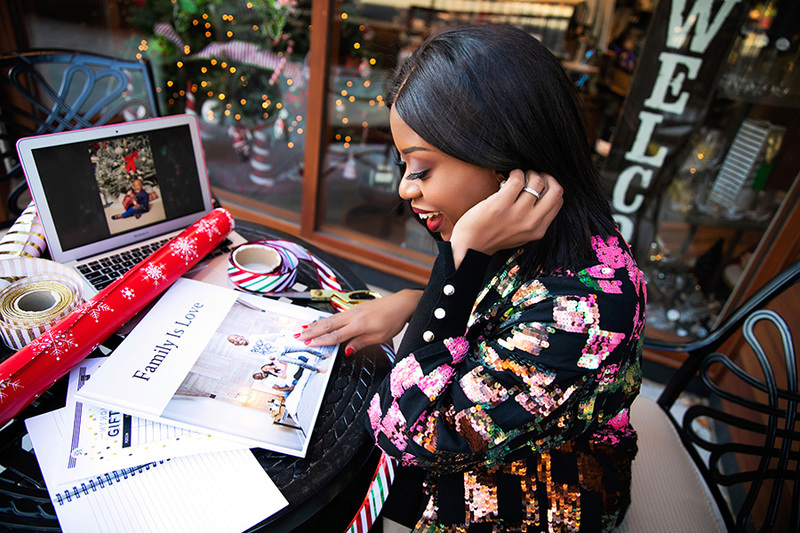 In case you have someone in your life that has everything and it is hard to shop for, consider creating a custom photo book with favorite recipes, travel book, children's book or family photo book with Blurb book. 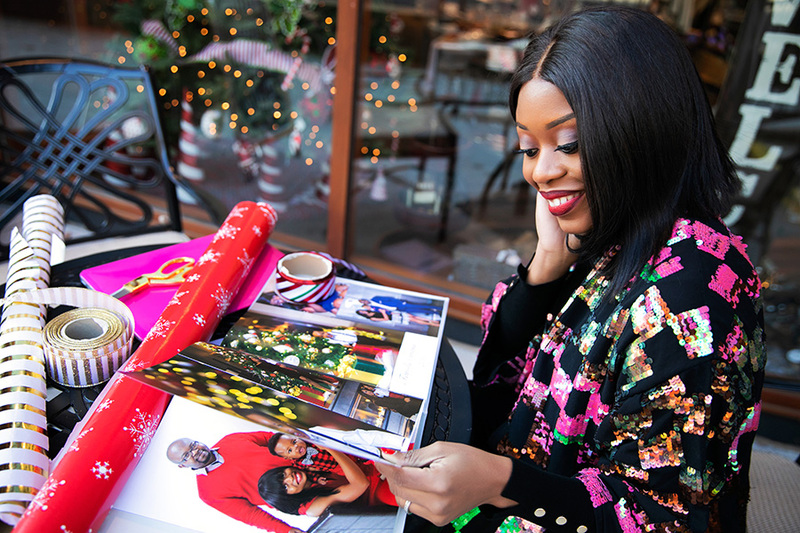 When it comes to gifting for the holiday, find gifts that are memorable, unique and significant to each person. For me, I have found a memorable gift in Blurb family photo book that will last a lifetime. As I narrow down my shopping list, I struggle with finding the perfect gifts for the grandparents. They typical don't want or ask for any specific thing which can be very tricky. For that reason, I thought of using Blurb to create a beautiful family photo album with images from when Nolan was born until present, Christmas pictures over the years and other fun holiday traditions. A lot of the images that I included in the photo book were never printed and this was a great opportunity to print all these memorable pictures that will last a lifetime. Blurb book is a creative book-making and self-publishing platform that allows you to turn your family treasures into a beautiful photo book. It is very easy to use and create photo books in prints and digital format. The process for me was very smooth and quick. I was able to create a Layflat photo book of memorable family events that displayed my photos across two pages. One of my favorite things about creating Layflat photo book is that my pictures could span from one edge to edge across two page spread without losing any part of the image to the center. Creating this family photo book with Blurb was super easy! 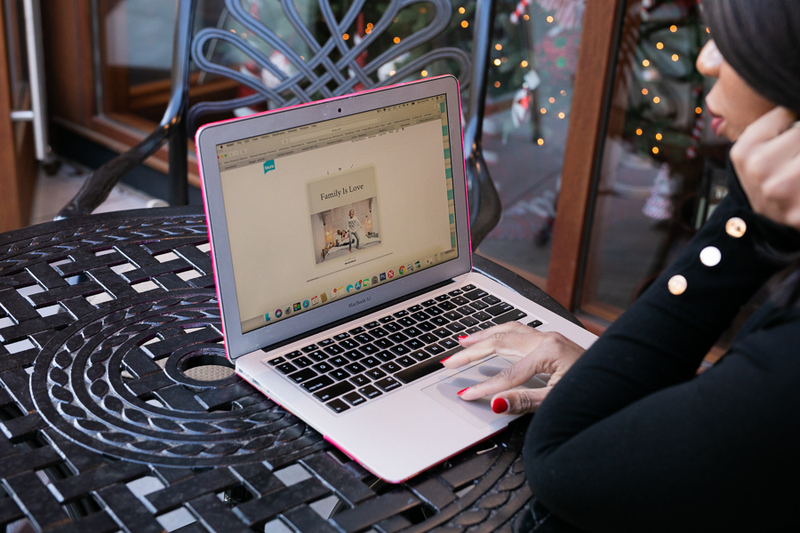 To get started, I used Blurb's free desktop publishing software BookWright. Before uploading the images into BookWright, I created a folder with my favorite images of family milestones. After that, all I had to do was upload the images and custom design each page. I also included quotes and dates in some of the pages to detail the chronology of the events making it more personal for the grandparents. At end, I selected a hardcover, image wrap, large 12 x12in standard mid-grey end sheet premium Paper and matte finish. 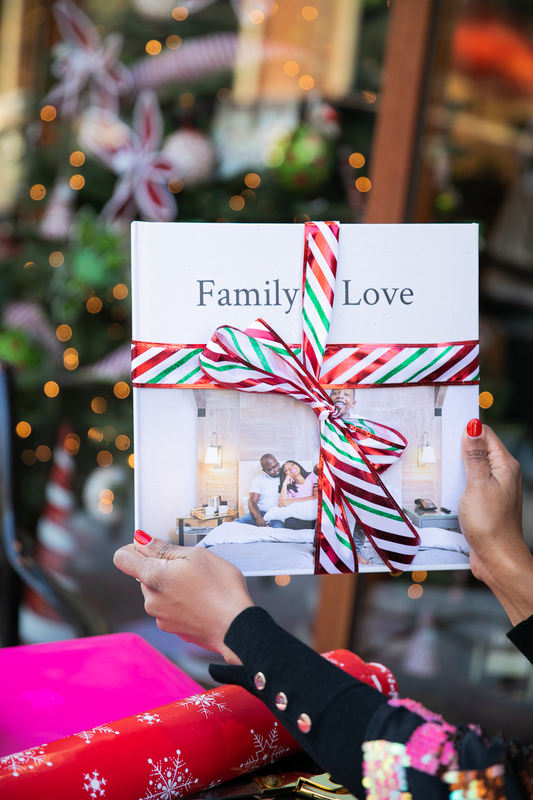 I wanted the photo book to have a coffee table feel, but also have an intimate look of my family's holiday memories. I was overjoyed seeing the end result. The colors are vibrants and the pages have a semi gloss feel which I adore. The printing was flawless despite that some of the pictures that I used were downloaded from my Instagram page. The final result of photo book brought a lot of joy for my family. Nolan was excited flipping through the pages seeing himself at different stages. He was excited to gift the photo book to his grandparents. Until today, the grandparents are still talking about it and they are looking forward to showing it off to their friends. I am already looking forward to creating more photo books of our travel journeys to add to our coffee table. 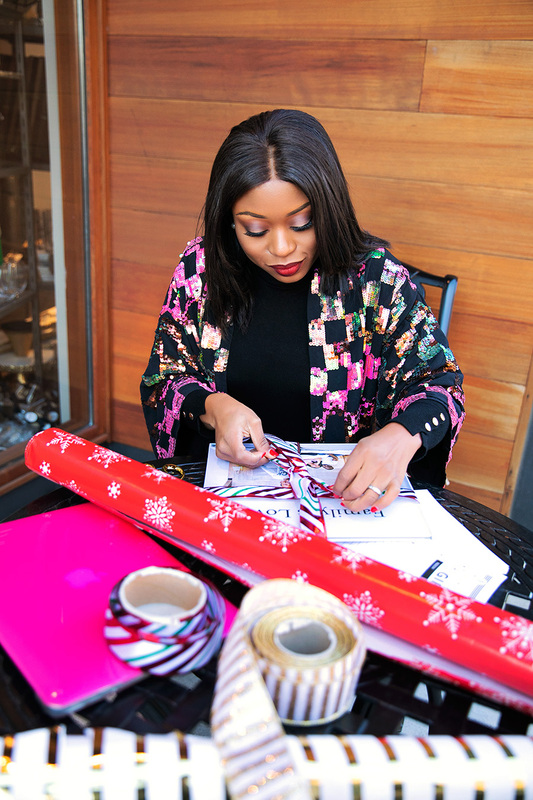 Make sure to check out the Blurb gift ideas and create that perfect holiday gift for that special someone in your life...a memorable gift that will last a lifetime.